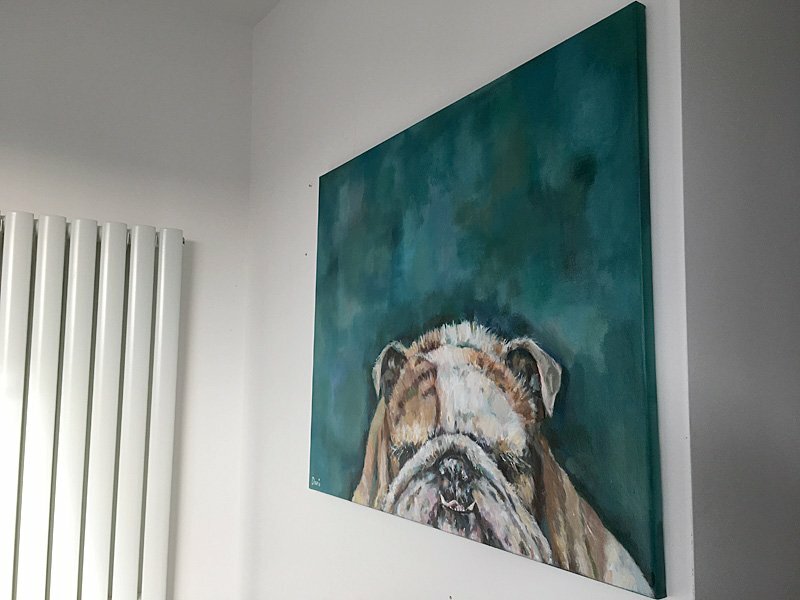 I have recently completed a contemporary piece of art featuring a sleeping Bulldog. 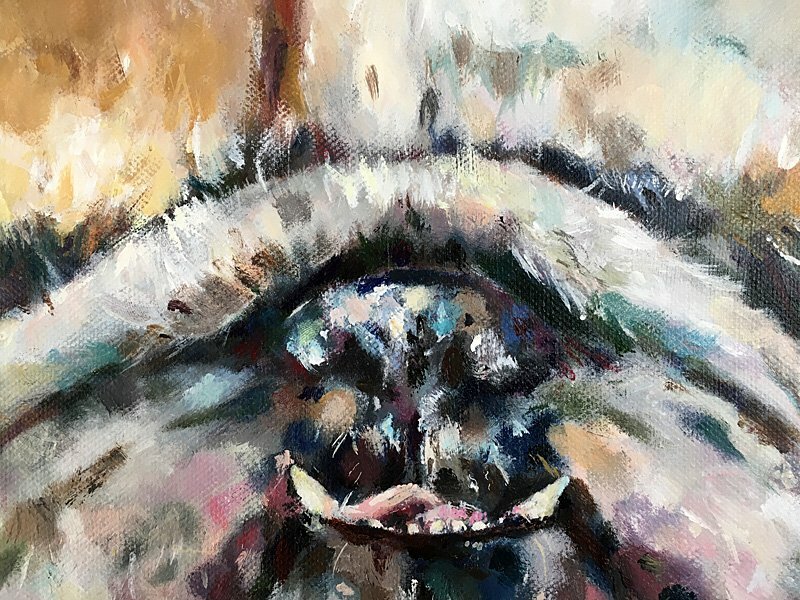 Situated at the bottom of the piece, Mr Bulldog lies, teeth and tongue out in usual Bulldog fashion. 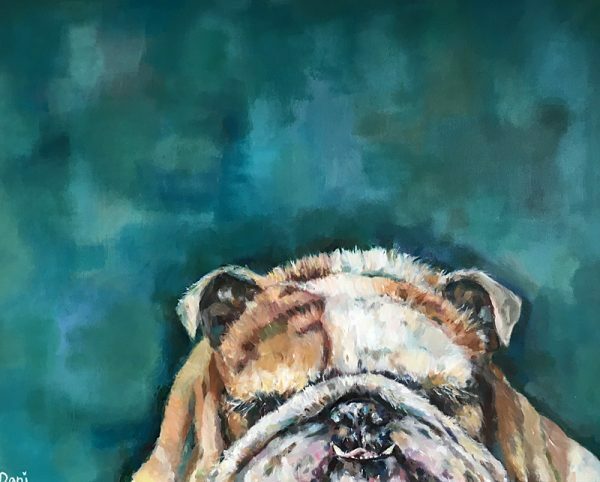 As an owner of a stubborn bulldog, I had the perfect model for my painting. Bulldogs spend most of their days asleep so it wasn’t difficult to get some fabulous photos of Reggie and take them back to my studio to work from. 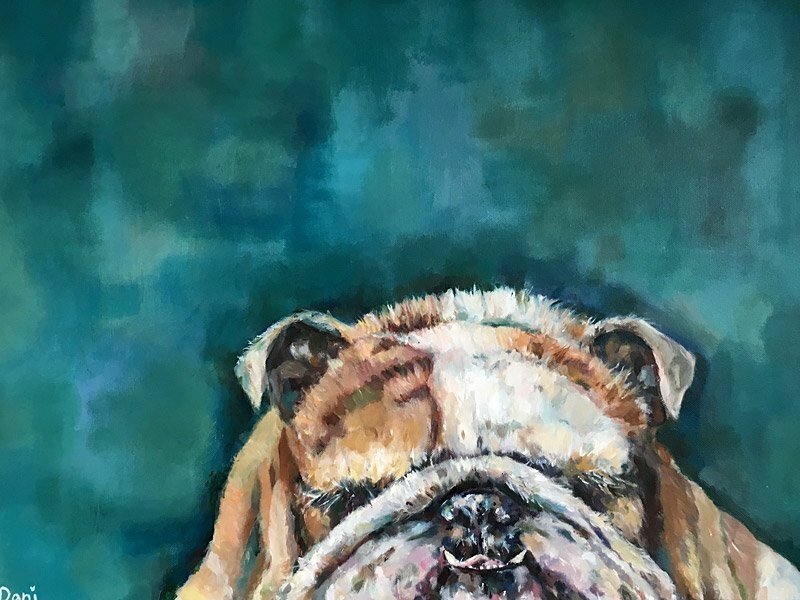 With a background of textural turquoise hues, Mr Bulldog creates a dynamic, bold statement and a stunning piece of wall art for any contemporary setting. Please contact me for further information, or click here for full details.